It is really embarrassing as all the PDP leaders and Chieftains on stage collapsed and fell down. The video is a must watch. "A'uzu billahi minasheitani rajimi (Seek protection from the DEVIL) & podium collapsed. @atiku but we wish you well. 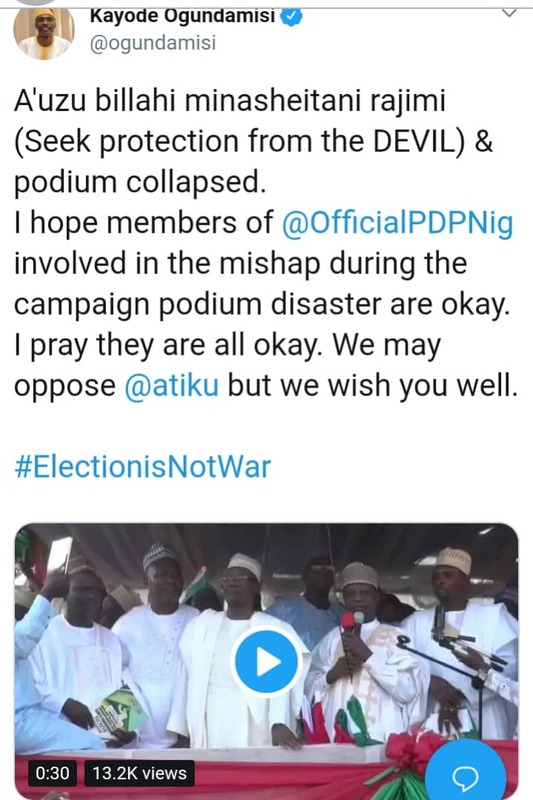 involved in this accident during a campaign when the podium collapsed are okay. I pray they are all fine. #PDPCuttingCorners. We can't hand them our nation anymore. Nigeria is in safe hands."